The Metropolitan Airport News calendar is the most comprehensive listing of New York & New Jersey airport and aviation events found anywhere online. Email us at info@metroairportnews.com to have your event included in our online calendar. 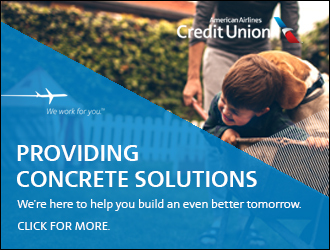 Receive bi-weekly updates on airport news, events, employment opportunities. Metropolitan Airport News’ provides timely news, information and updates for both Port Authority of New York & New Jersey (PANYNJ) employees, and businesses that provide services at, and around the major New York airports (JFK, LGA, EWR). Subscribe below and never miss an issue! 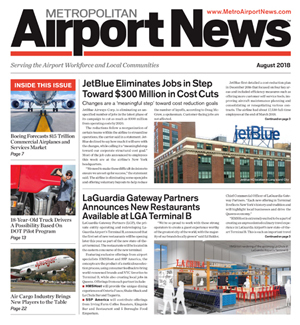 Metropolitan Airport News is an online, and printed newspaper focused entirely on airport employees, local civic issues, and events in and around the three major New York airports. We understand that airport employees are a tight knit community, and are interested in what’s happening at their airports. Metropolitan Airport News provides them with a central location to stay current with both social, and work related news. Leave blank if the same as billing address. 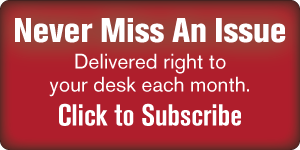 Have Metropolitan Airport News delivered directly to your home, or office each month. © 2019 Metropolitan Airport News All rights reserved.